Earn up to 5,520 reward points. Expand the left side of your OmniDesk workstation with this 13-space add-on. 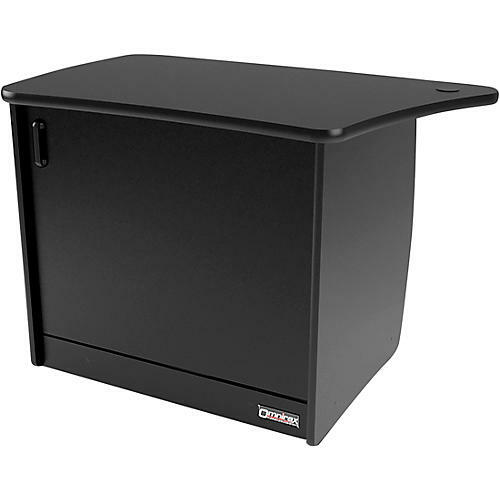 Built specifically for the OmniDesk workstation, the OM13DL is a 13-rackspace cabinet attaches to the left side and gives you not just the 13-rackspaces, but a spacious CPU cubby as well. There is also a door to keep things looking neat and organized when not in use. The OM13DL's black thermofused melamine laminate top matches the black version of the OmniDesk.